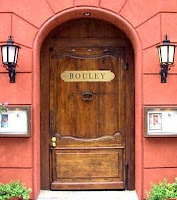 Our party of 6 arrived at Bouley for a late dinner - starting at 9PM. To be sure, we were all hungry by then, so it was good that service was relatively fast, unlike many of Bouley's counterparts. Our table took on the 6-course tasting challenge, of course! Since the menu is not available online, and I was quite tired by then, I'll use this review to give a general gist of what's to come if you go there since I can't remember the names of everything I got. 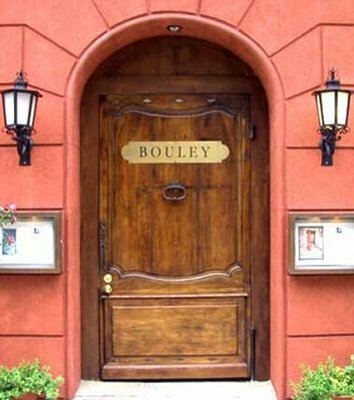 I walked into Bouley thinking that I would not be impressed as I'm not typically a fan of French dinner food, but was I wrong. From the appetizer to the dessert, everything came out fresh, hot, and tasty. As with most French food, it was rich - but since portion sizes are not controlled by McDonald's - everything came out in just the right amounts. One item that I do remember was the valrhona chocolate souffle - every bite was as bittersweet and rich as the last - and it was by far one of my favorite desserts I've had in a while. To complement the dishes, Bouley also has a great selection of artisan breads - from apricots, walnuts, pistachios, to plain old sourdough. I'd recommend the apricots and pistachios - two of my faves. We would have tried the cheese selection had it not been 1AM by the time we finished with dessert!